Single piece of software providing extensive image processing and simple robot control. 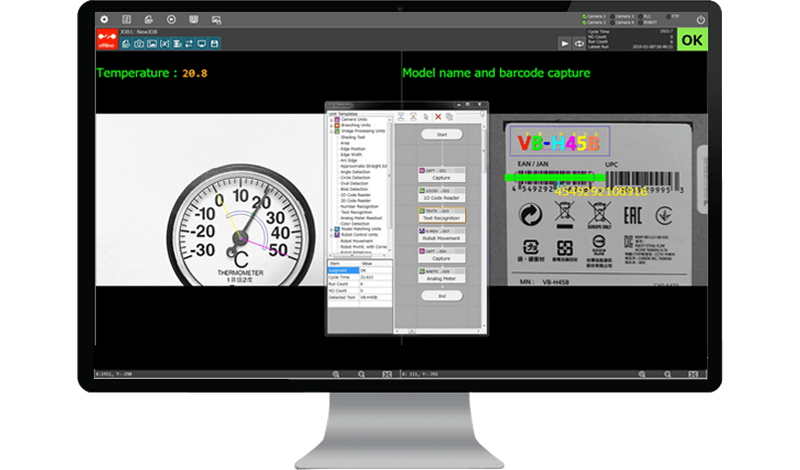 Vision Edition offers extensive image processing capabilities and simple robot control for a wide range of applications, releasing staff from repetitive work with fewer human errors and faster output. 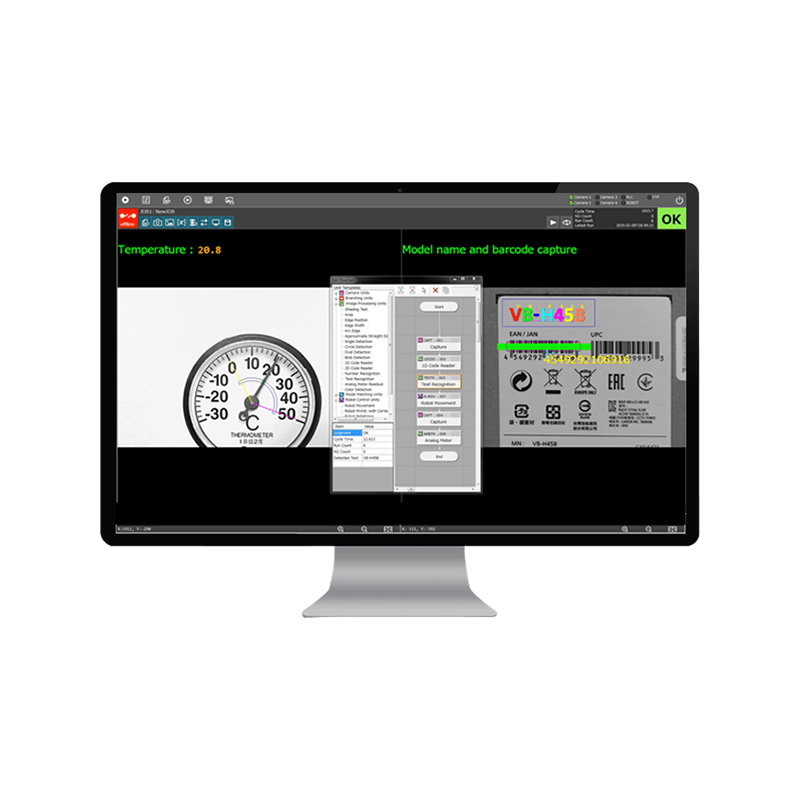 Capture a wide variety of codes and values: 1D/2D codes, analogue meter values, numbers, text and object colour. NCC and shape pattern matching to assist pick & place solutions. Using a PTZ camera, Vision Edition automatically detects and zooms to scan multiple barcodes from a stack of boxes. Multiple position capture with single PTZ camera provides cost effective solutions. Control a collaborative robot* with its simple and intuitive program. 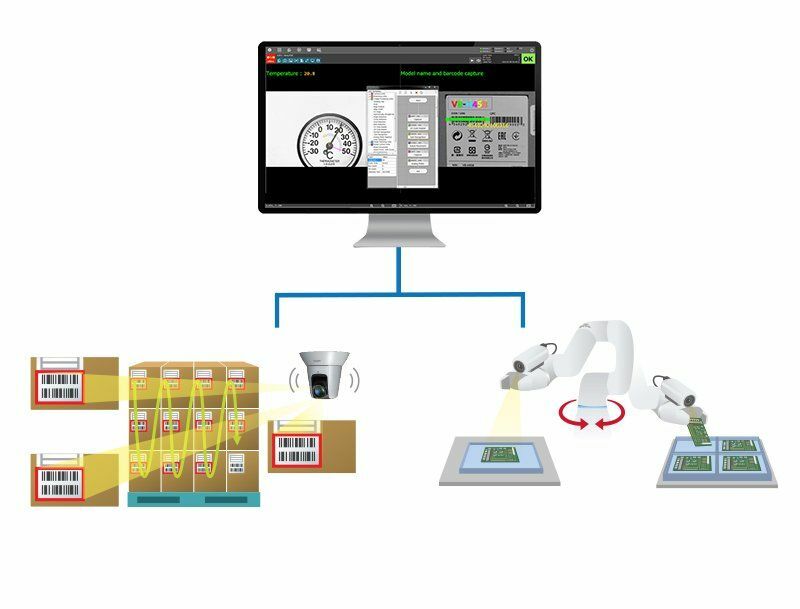 Fast and accurate pattern matching enables the robot to perform pick & place for a wide variety of applications. Simple programming via a flowchart interface enables even complicated visual inspection or pick & place tasks to be created without any prior programming knowledge. Operate as a stand-alone solution or connect to PLC to form part of a factory field network.